PHILADELPHIA (WPVI) -- Philadelphia residents should be beware of an attempt to get their personal information. 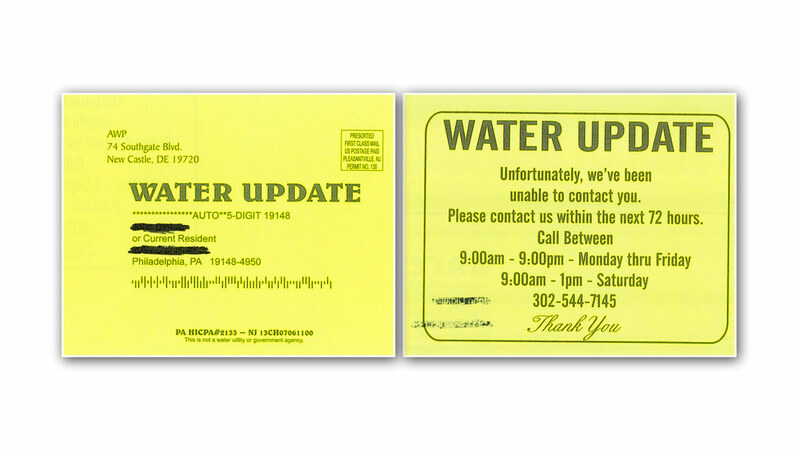 Yellow postcards that say "water update" are being left at city homes. They urge the homeowner to call the number on the card. Officials say these are not from the Philadelphia Water Department. They're actually a solicitation from a company in Delaware. If you received a card but still have questions, you should contact the water department hotline at 215-685-6300.